An interesting take on the impact of “Hispanic” voters in Texas. Even the Washington Post is taking notice of the similarity between the Conservative GOP platform and Conservative Hispanic voters. What happens if Texan Hispanics lead the way in turning to the Republicans instead of the Democrats? What if it catches on? Will the Democratic Pro-Illegal-Immigration supporters keep their ardent support up if it turns out that those new voters will become Republicans? Democrats have invested heavily in the Hispanic vote since 2008. And while the Hispanic vote has turned reliably red states such as Nevada and Colorado blue since that time it has failed to make the biggest electoral prize, Texas, any less red. This cycle Democrats sought to change that. 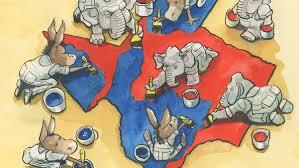 Battleground Texas, a massive project aimed to turn Texas blue was the centerpiece of the effort. The group, activated after 2010, focused heavily on registering new Hispanic and black voters and getting them to vote Democratic. But the group has hit roadblock after roadblock. Since its creation the entity has suffered with fundraising, in 2012 Romney won more of the vote than McCain and has failed to register a new swath of voters this cycle.